As events at the Nama committee dominated headlines last week, the NIO released its policy paper on implementing the Stormont House Agreement. If you’ve ever wondered why the NIO decided to draft the Stormont House Agreement Bill 2015 and bring it through Westminster rather than allow the clowns on the hill to legislate, once you read the policy paper all becomes clear. Quite simply the British government intends to control the Historical Inquiries Unit (HIU), what information it can have and what it can reveal. Now as we all know from past experience, ‘likely to prejudice national security’ is whatever our proconsul for the time being decides is national security. 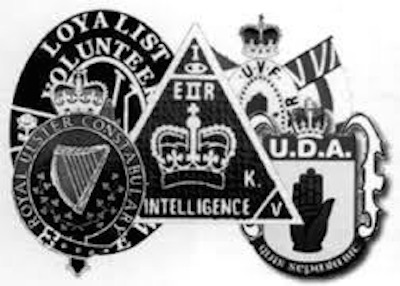 Academics at QUB, Sinn Fein politicians and the CAJ among others recommended that former RUC and RUC Special Branch personnel be not employed in the HIU partly because they may have been complicit in collusion or cover up or both. The great merit of the Historical Enquiries Team was that its personnel were seconded from English forces and we all know why. Then there’s the Independent Commission on Information Retrieval (ICIR). It’s modelled on the Independent Commission on the Location of Victims’ Remains (ICLVR) which has worked extremely well. However the NIO policy paper goes out of its way to make clear that while information given to the ICIR is inadmissible in court, if that information is obtained or can be obtained by other means then prosecution may follow. That puts the kibosh on the ICIR because given the record of the PSNI over the past four years, starting with the Boston college fiasco (all hearsay) and continuing with their apparent trawling after the killing of Kevin McGuigan with almost a score of people arrested and released, who is going to risk giving information to the ICIR to pass to families? Inevitably individuals in the PSNI would be working backwards from the material a family received. In mitigation it has to be said on the basis of evidence so far, that’s only likely in the case of prominent Sinn Fein figures.